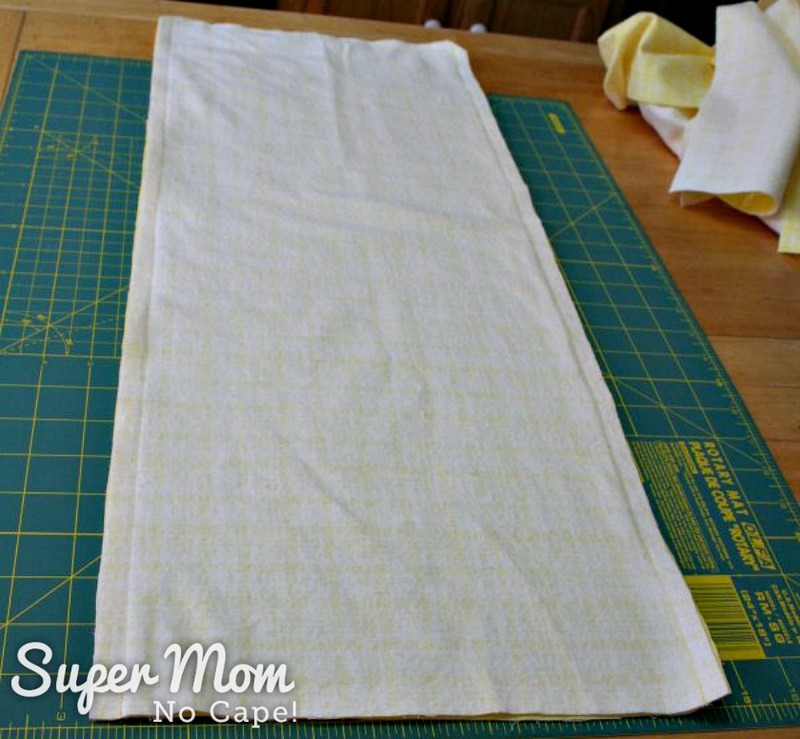 How to Make Bedding for a Doll Cradle - Super Mom - No Cape! 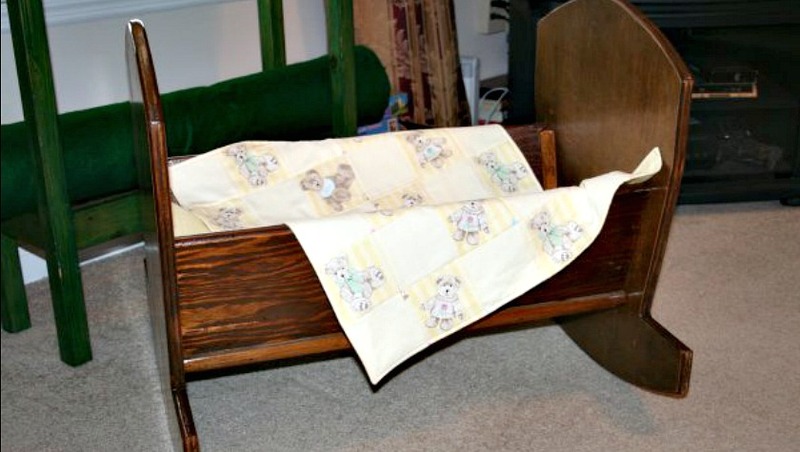 Do you have an old cradle that you’d like to update with new bedding to give to a little one in your life? Or perhaps you’ve purchased a new doll cradle that didn’t come with any bedding. 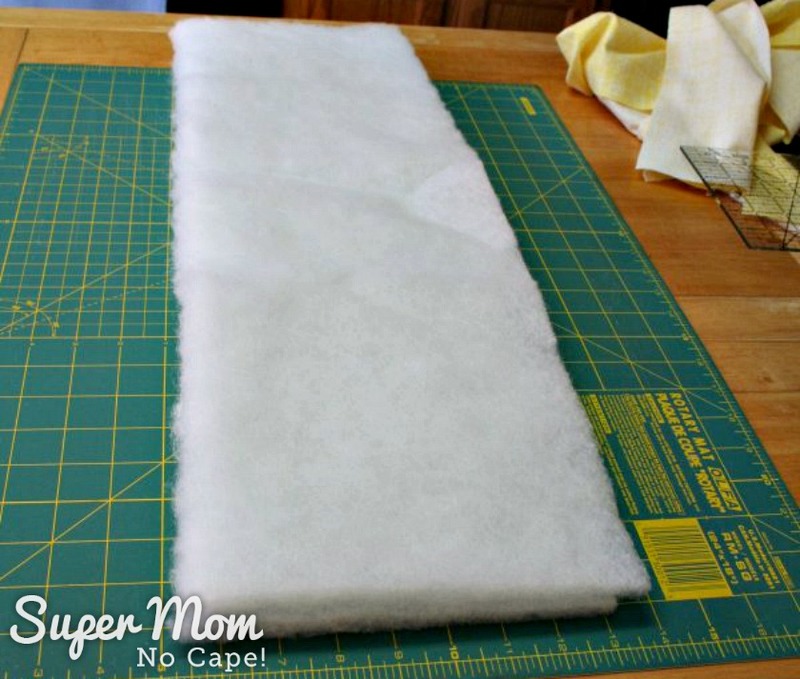 In this post, I’ll share how I went about making the bedding set for the doll cradle that I had been saving to display some of my old toys but decided to pass it on to give someone else the joy of using it. .
First, to make the mattress, measure the inside bottom of the cradle. Mine was 8 ½ X 25 inches. So three pieces of a thick batting were cut at 8 1/2” X 25”. Well, actually one of the leftover pieces of batting I had was only 8″ wide, but since I was using three pieces, I made it work by off setting the narrower piece when I layered them. 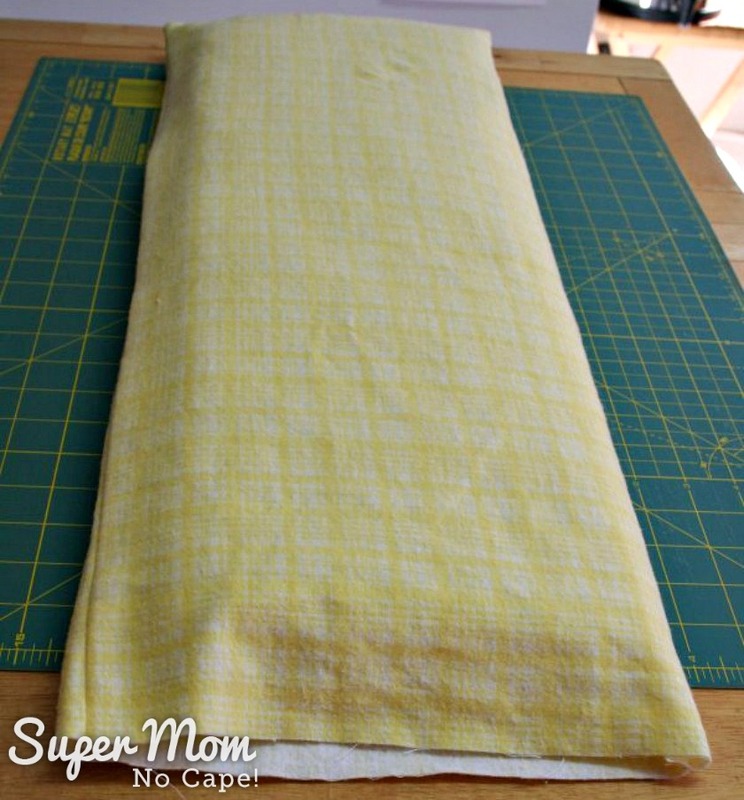 To figure out what size to cut the fabric for the mattress cover, I measured the depth of the three layers of batting and added that to the width and length of the batting and cut two pieces of flannel that size. Then with wrong sides facing, the two long sides and one end were sewn and the corners clipped. It was then turned right side out. As you can see from the photo below, after inserting the batting, the cover was just a little bit too long. That was easily fixed by turning under more of the fabric before hand sewing the end closed. 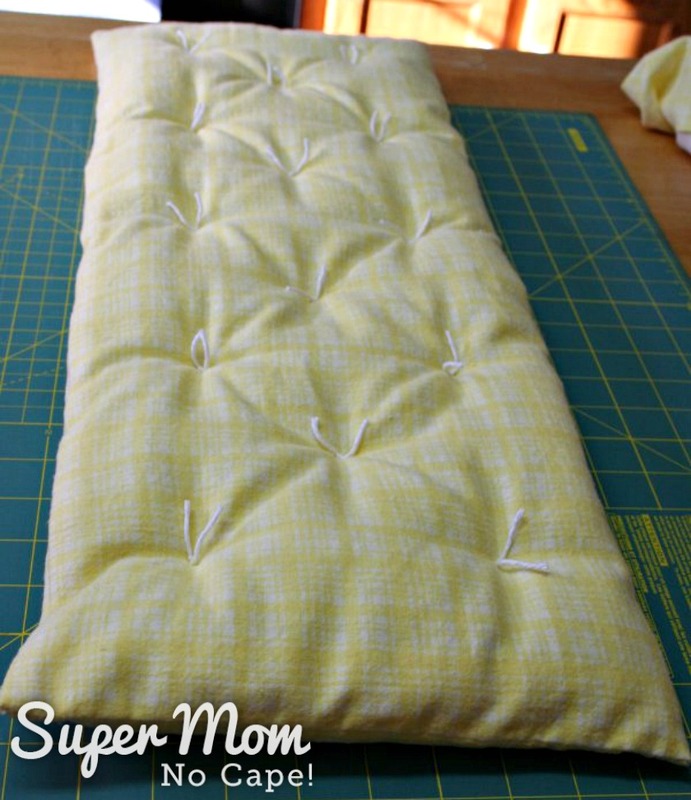 To make the mattress look like an old-fashioned mattress, it was tie quilted with yarn. To do this: Thread a large needle with yarn, push the needle through from the back to the front, take a small stitch and push the needle and yarn back through to the back. Tie with a secure knot and trim the yarn ends even. I used the lines in the plaid as a guide for placing my ties. Depending on what fabric you’re using, you may need to measure and mark for the placement of the ties. This is what the top of the mattress look like when finished. 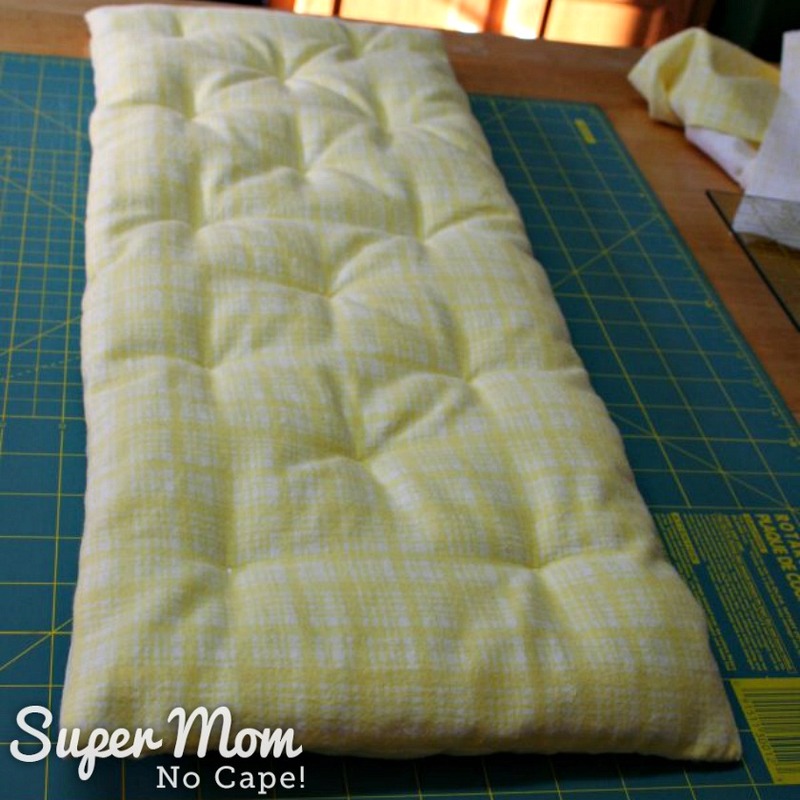 The pillow was super simple. 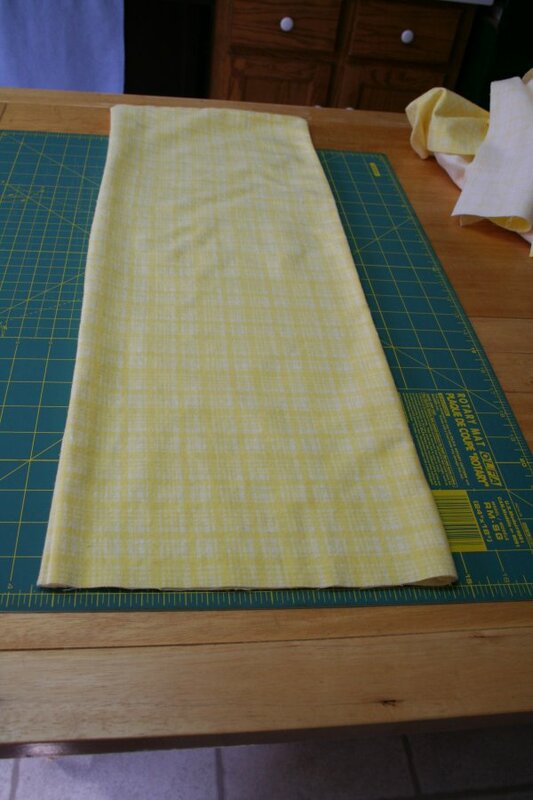 Just two pieces of flannel from the same plaid cut 6”X8”, sewn together leaving a space for turning. 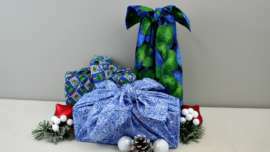 It was then stuffed and hand stitched closed. 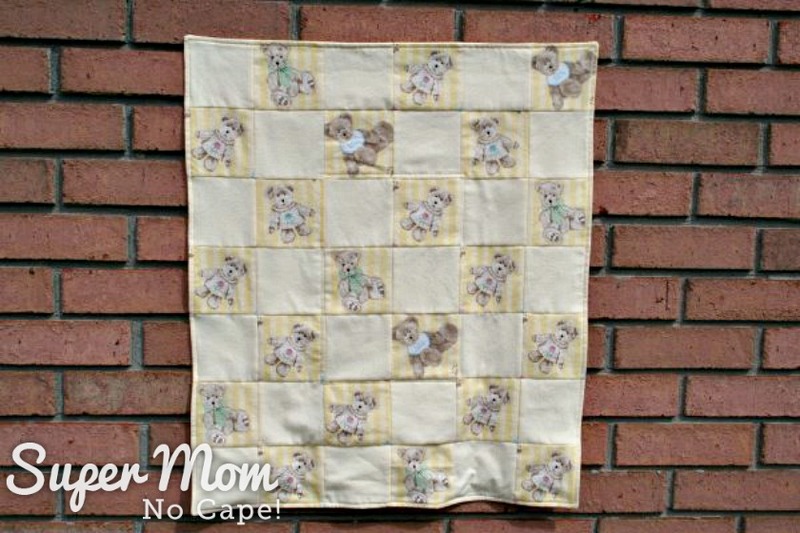 And lastly, for the doll quilt. I had just enough bits and pieces of bear print flannel leftover from making the Yellow Bear Quilt to fussy cut twenty-one 3 ½” squares. 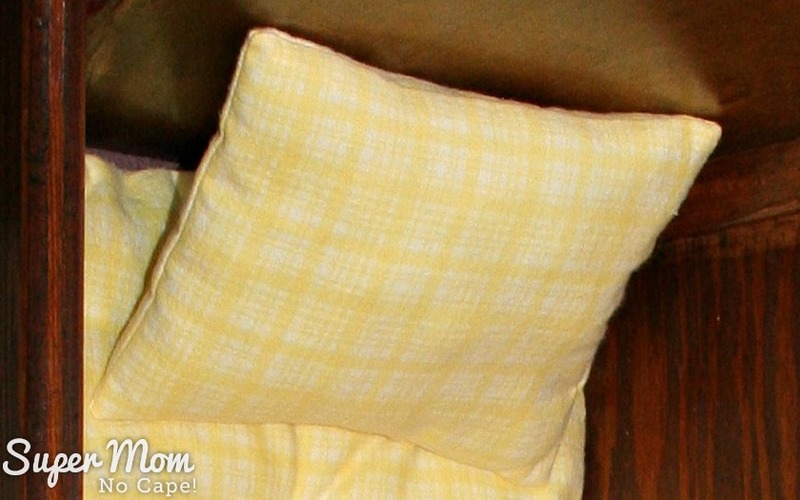 Then twenty-one 3 ½” squares were cut from yellow flannel. 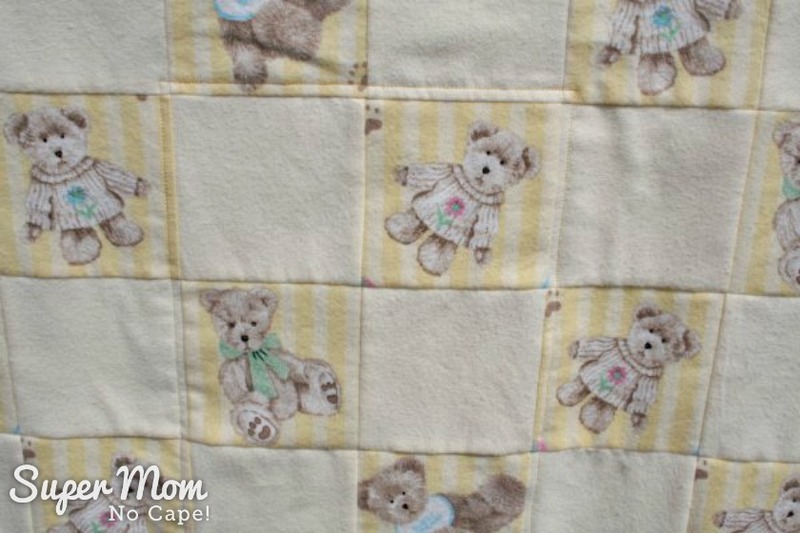 The squares of bears and yellow fabric were alternated in seven rows of 6 squares each. 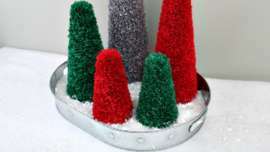 They were sewn together in rows, pressed and then the rows sewn together. After another pressing, the top was used as a pattern to cut out the back. 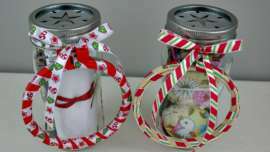 To keep it flexible and soft for a little one to wrap their doll in, no batting was added. The top and back were sewn with right sides together with a section left open for turning. The four corners were clipped on an angle, then the quilt was turned it right side out and the opening closed with hand stitching. I gave it one more pressing and then top stitched ¼” from the edge and then again ¼” from the outside of the six blocks in the center. The entire bedding set was made from fabric and batting leftover from other projects. The only cost was my time. 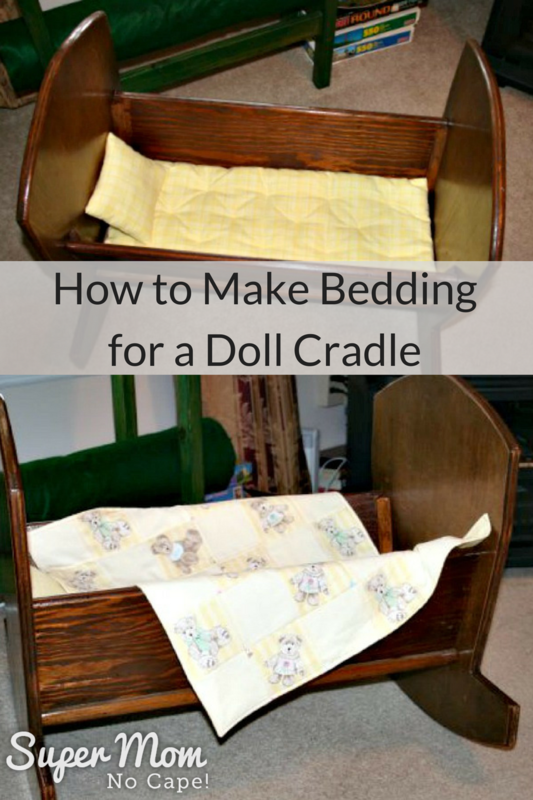 But if you read my other post about the cradle and bedding set… it was time well spent. Be sure to pin this post for future reference by clicking on the Pinterest button under the post. i love how you did the mattress cover very clever. I love projects that come from what you have left! 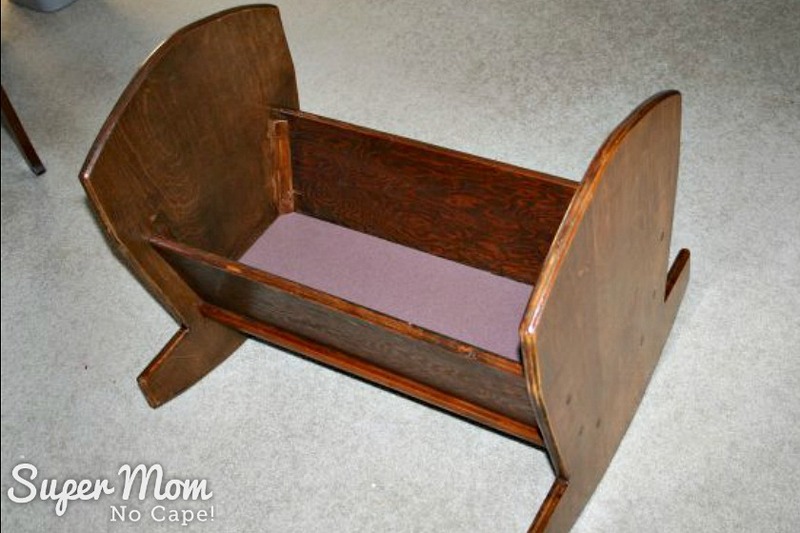 We have a similar doll cradle that my grandfather build for my mom which now my granddaughters play with. The bedding looks very similar – and yes, my grandmother was a quilter. Wow…that is so cute! I really love the colors and the way you put everything together!